After a natural disaster, survivors are desperate to find their way around and to signal for help. This inventive solution from creator Kim Minsoon gives survivors a simple and effective way to do both at once. 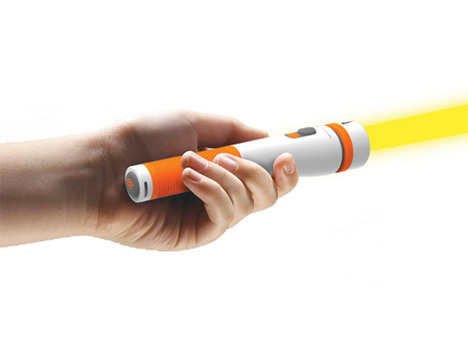 The Flash Communicator is a small flashlight that can not only show the way, but act as a distress signal as well. The small device is about the size of any other LED flashlight and, like any other flashlight, can be used to find a safe path in the dark. 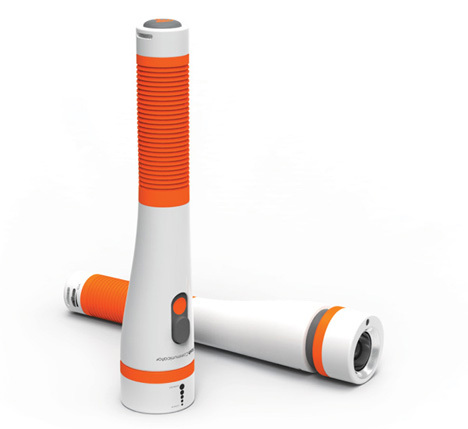 It comes with an added bonus, however: it can translate speech to Morse code and Morse code to speech. 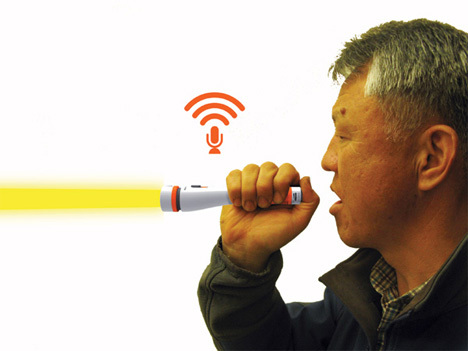 Disaster survivors can push the “Communicate” button and speak into the Flash Communicator; their words will be instantly translated into Morse code via flashes of light. A passing rescue crew, also equipped with a Flash Communicator, would see the flashes and turn their own device toward the signal. The receiver’s Flash Communicator could then translate those flashes of light back into voice, giving the crew vital information about the victim. Rescue missions could be faster and more successful if survivors were able to immediately communicate their locations as well as any injuries or illnesses that might require priority attention. See more in Unbuilt Concepts or under Technology. March, 2013.